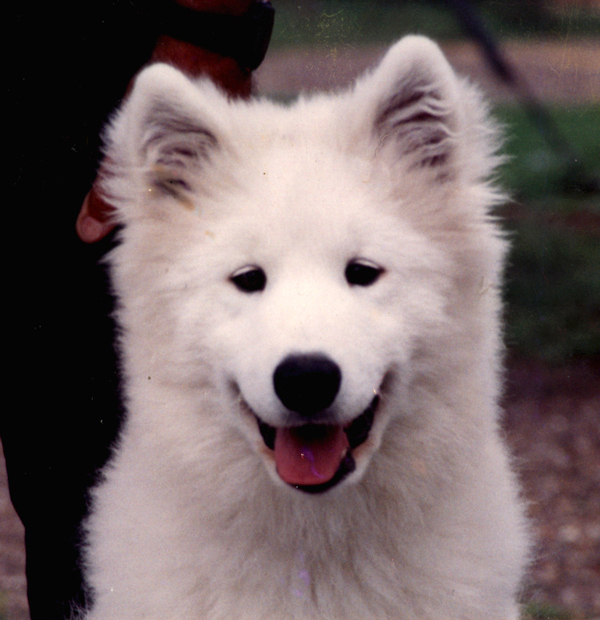 When Kathy and Leon got back from living in Guam, they got back into the Samoyed breed with Kyra. Jane and Kathy went to Nevada to check out a litter and came home with her. She was a big girl with bedroom eyes. She finished her Championship with some help from Carole Cheeseman, her breeder. After Mauka was added to the family, they got along great until they both had litters within a week of each other. That’s when the trouble started. After a while, Kathy and Leon knew they had to make a choice because it was too difficult to live peaceably with both. Kyra then came to live with Jane and Alan and we all swear she never looked back. She was very much Jane and Alan’s dog from there on, until her death in the Spring of 2005.